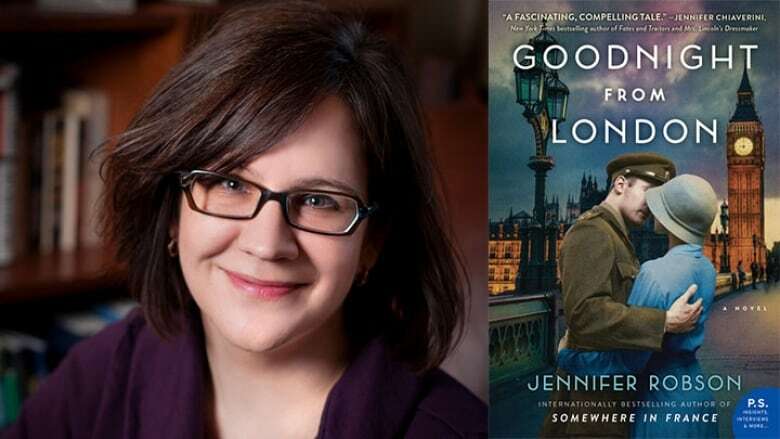 The author of Goodnight from London answers questions about her biggest fears and more. Jennifer Robson describes herself as a "life long history geek." Her father is a historian and Robson was once an official guide at the Canadian National Vimy Memorial at Vimy Ridge, France. She's long been fascinated by the history of the First and Second World Wars and her novels take place during and after that period. Her most recent novel, Goodnight from London, is set in that city during the Blitz. Here is Jennifer Robson answering the Proust Questionnaire. "I read a lot of nonfiction, a lot of history so historical writers like Juliet Gardiner, who writes wonderful books about English history, and the great, great Canadian historian Tim Cook is someone whose work I devour as soon it comes out, and his new book on Vimy is a masterpiece." "It's Anne Shirley, I know I'm not alone in this. It's the way that she's so desperate for love, so desperate to be cared about and so brave in the face of all the rejection she receives. And the fact that she's such a flawed character and yet so intensely lovable is something that no matter how many times I re-read the book I'm awed by Maud Montgomery's ability to create this character who is so perfectly imperfect." "My mom died in 1991, she was only 51, only a few years older than I am now. She never had the chance to meet my husband, or my children, or my nieces, and she'll never be able to read any of my books or know that I became a writer. I don't believe in going through life with regrets, but if there's one thing I could change I think that would be it." "Researching obscure historical details for my books. I can fall down a rabbit hole and spend all day trying to figure out what someone would have eaten in a restaurant or how much they would have paid for a train fare in 1932. It fascinates me." "My favourite journey is one that I can only make in my memory now. I would leave Toronto and head east on the 401, up the 115 in the direction of Peterborough where I grew up, but before getting to the city I would turn off onto the back roads and along to the house that I grew up in, that nbo longer belongs to my dad. I haven't seen it for 20 years. It's in a little place called Stewart Hall that you'd just blink if you went past. I can imagine every kilometre of that journey, every moment as a I turn the corner and go up the drive. It's so vivid, more vivid than the journeys I take day-to-day in my life today." "Talking when I should be listening." "If money and distance were no object, in a tiny little flat in Paris, maybe on the Place des Vosges, preferably with a wonderful pâtisserie downstairs. But if I'm being practical I would want to live exactly where I live now, in the junction in the west end of Toronto." "I would say in light of the subject of my newest book, which turns on journalists during the Second World War, I would say it's war correspondents. We often talk about first responders running towards danger when other people are running away, but that's what war correspondents do, and they pay the price. I think of somebody like Tim Hetherington or Marie Colvin, both of whom were killed within the last decade doing their jobs as war correspondents, or Ernie Pyle who was the great American journalist from World War II, who was one of the first people to take a real interest in the lives of ordinary GIs.He was killed in Okinawa in 1945." "I think to have written my first book when I had a baby and a toddler at home with me. I look back and I still wonder how I managed it." What is your favourite place in Canada and why? "I would say it's in West Vancouver. My aunt and uncle have a lovely house not very far up the hill in West Van. It's an old house probably from the 1940s, and they have the most beautiful garden I've ever seen. To sit on the back deck with a cup of coffee that my uncle John has made for me and look out over the hill down to the ocean below, and sometimes you can see the big freighters coming in."